Summit4CAD, Inc.Coronary Artery Disease Education & PreventionGET INVOLVED! 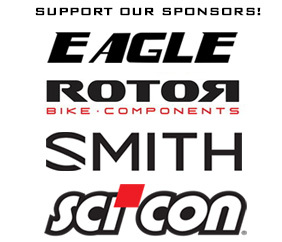 Summit4CAD is offering select sponsorship opportunities to individuals, organizations, and businesses who want to help increase prevention awareness for CAD. Summit4CAD’s unique focus on healthy lifestyle choices with cycling as the primary fitness activity for the prevention and recovery of CAD makes it a perfect fit for cycling industry businesses and organizations. Summit4CAD is looking for like-minded individuals, organizations, and businesses to become sponsors in assisting it achieve its Mission. Sponsors should share the same Values as Summit4CAD and understand its Vision for the future. Sponsors can provide financial or material support to Summit4CAD. If you or your organization or business are interested in becoming a Summit4CAD Sponsor – please click here to contact Summit4CAD for more information. Summit4CAD’s Founder, Jon Patrick Hyde is a seasoned public speaker. He is available for lectures regarding CAD and the specifics of his case (lifestyle choices, diet, exercise and fitness regimens) which were all vital elements in his survival and complete recovery from the dreaded Widowmaker Heart Attack. In addition to speaking engagements Summit4CAD will participate in public events to promote The Cycling Life – the set of lifestyle guidelines developed by Jon that helped save his life and was the driving force behind his recovery. Summit4CAD’s participation in public engagements is to share useful, relevant, medically-based information regarding the risk factors, symptoms, treatment, and recovery from acute CAD related events such as myocardial infarction (heart attacks). Summit4CAD’s Mission and Vision for the future are ambitious. We cannot do this alone. This is why we are looking for sponsors, donors, and volunteers to help make our goals a reality. Summit4CAD has zero employees, everyone associated with Summit4CAD are volunteers who donate their time, talents, and expertise. All donations and gifts to Summit4CAD will be used to achieve its Mission and Vision. This will be done in accordance to Summit4CAD’s Values. A percentage of all donations received will be presented each year to the American Heart Association for the continuation of research and prevention of CAD. For more information regarding how you can become a donor and support Summit4CAD, please contact Jon Patrick Hyde.